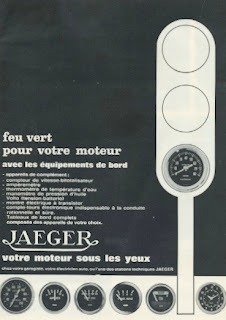 Jaeger started around 1962 with the tableaux speciaux, these were made till end of the eighties. 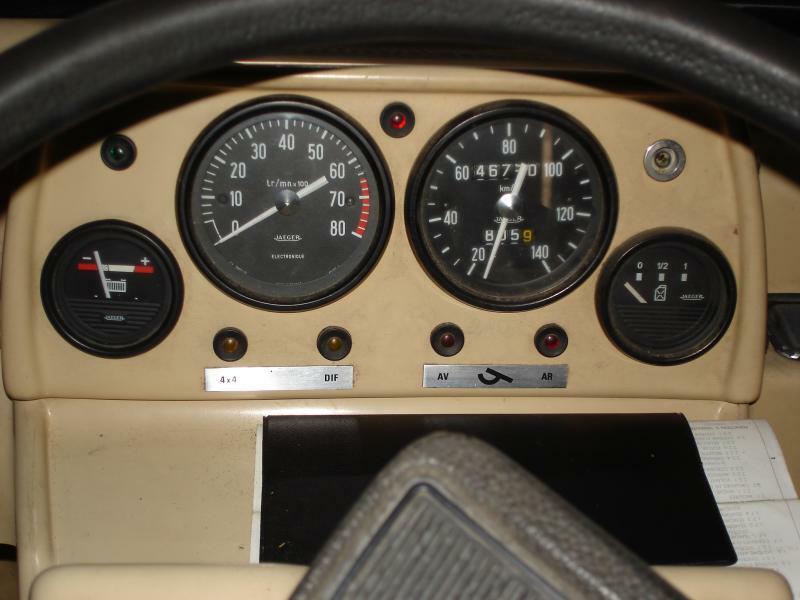 After 1972 the layout changed: the diameter for the bigger meters changed to 80 mm en later the bezels were black. Also the layout of the mano's changed a bit: the Jaeger logo was not down in the middle but at the right side. The panels were no longer in wrinkle but of aluminium. And there were many voyants!! 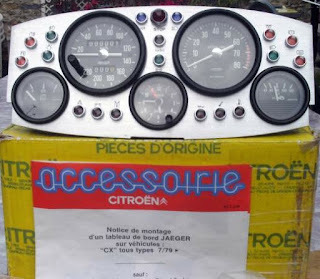 From top to bottom: a box with several instruments that can used in different cars, then a tableau for the BX, CX and GS X2 and birotor and then one for the Visa Chrono, The next 2 are in a Mehari. 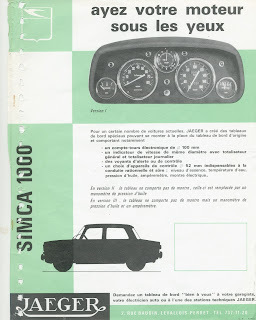 the last one individual made in a 2 CV! Very interesting site, thank you! 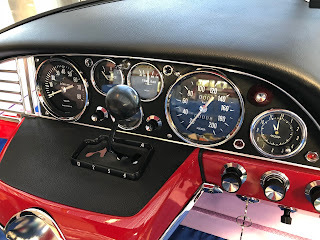 I have a 1962 DS and this winter I will install a Jaeger-tableau. One thing that puzzles me is where to fit the flexible knob that rewinds the tripmeter? I have looked at all the photos but cannot see where it is fitted.